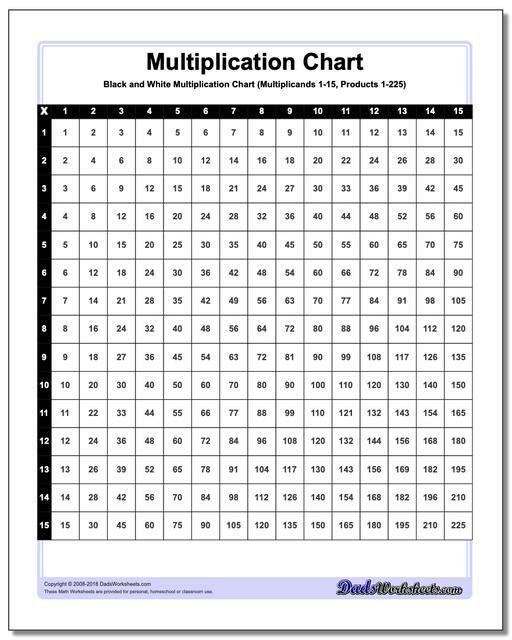 This version of the chart presents the multiplication table in a basic black and white grid. 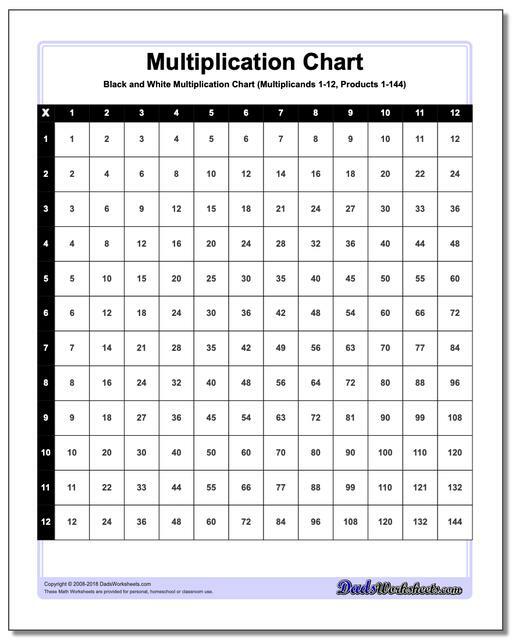 There are different variations of each multiplication chart with facts from 1-9 (products 1-81), 1-10 (products 1-100), 1-12 (products 1-144) and 1-15 (products 1-255). Having a printed multiplication chart on hand can make the difference between bumbling through a multiplication problem or memorizing the facts and becoming a multiplication rock star. 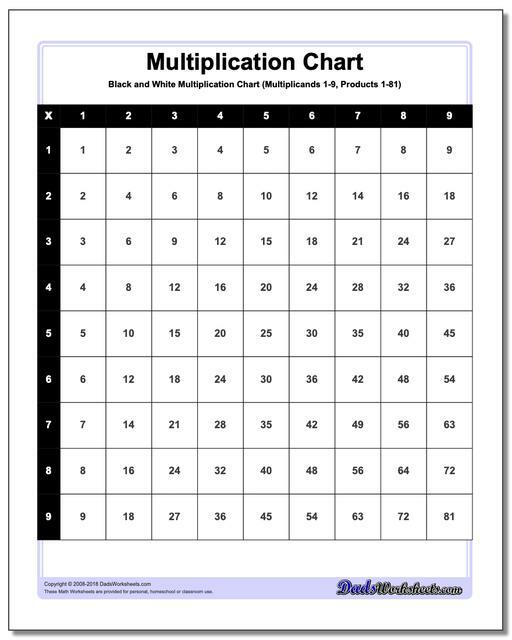 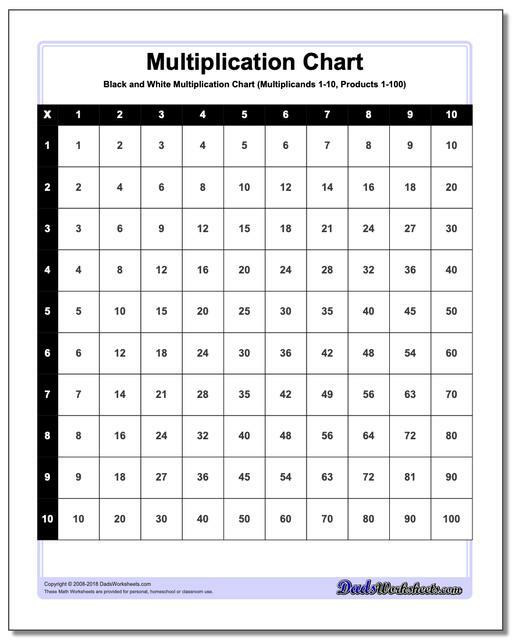 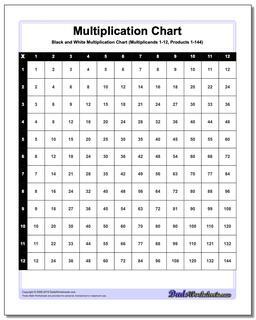 These each black and white printable multiplication chart on this page is your basic go-to resource for cementing the multiplication facts into long term memory.